Most of the tropical fishes that lives in the rivers and lakes, their natural and best environment is Black Water. Black water have a distinctive brownish tea like colour and contain many dissolved organic materials. It was first noticed that fishes living around the water where the ketapang trees grew are found much more vibrant, beautiful and healthy. Thus started the practice of putting in ketapang leaves into aquariums to try and achieve the same condition as those found in their natural environment. Keeping the leaves in an aquarium is said to lower the pH and heavy metal content of the water. 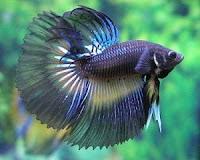 It has been utilized in this way by Betta breeders for many years. Local hobbyists also use it for conditioning the betta's water for breeding. 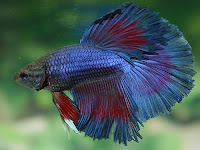 According to professional breeders of Siamese Fighting fish in South East Asia, Indian almond leaves will harden and coat the skin of the fish, thus making it more apt for fighting. The idea is that Siamese fighers living without Indian almond leaves have softer skin and scales that aren’t smooth and slippery enough to handle being bitten by other fighters. The fish is therefore conditioned using Indian almond leaves for at least seven days prior to a fight. A clay pot is filled with clean, aged water, the leaves are added, and the fish will live in the pot and be fed live food once a day. The pot is placed in a dark and quite place to help the fish prepare. After a fight, a similar treatment is given to help the fish recover from its injuries. Can Indian Almond Leaves Remove Heavy Metals from the Aquarium ? When organic matter (i.e. not just Indian almond leaves) are turned into humus by bacteria and fungi, toxic substances such as heavy metals can be chelated, i.e. bound to the complex organic molecules of humus. This can prevent the metals from entering the wider ecosystem, but will not remove them. For us aquarists, it means that the heavy metals will still be present in our tanks – only bonded to humus. What fish will like Indian almond leaves and what won’t? Indian almond leaves are ideal for fish that hails from environments where the water is rich in leaf debris. 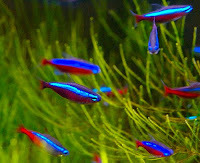 A few examples of such fishes are bettas and other gouramis, blackwater tetras, discus, rasboras and many dwarf cichlids. You need to research your particular species to see if it hails from this type of water. Indian almond leaves are not recommended for fish that like hard and alkaline water, such as African cichlids. Click HERE to buy & order Your ketapang leaves today! In order to avoid dissapointment, pls order your ketapang leaves a week in advance and try your best to place your order outside festive & holiday seasons. Your blogs are really very nice, and interesting. Please read your posts on the bottom. There is an offensive post from an anonymous, that you should delete. I just cleared away the nasty comments here. i just did send You an email with answers, how to process the leaves ready for selling. I do this business from Cambodia to the european market.